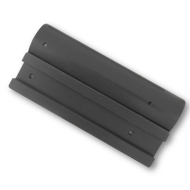 If your AR15 uses a standard rail forend our rail covers will fit any tactical styled rifle or pistol! The 6″ rail covers are precision machined from 6060 T6 Aluminum and will attach to any rail system in use today. (The Picatinny rail, alternatively known as the MIL-STD-1913 rail, STANAG 2324 rail, or simply “Tactical Rail“)… each rail is drilled and tapped for the included 8-32 set screw kit, 2 per rail. Made to very tight tolerances without the flex of plastic, a simple snug up on the set screws locks the cover solid. Good for rail top or rail bottom fit. Our AR15 grips are made to replace any standard AR style grip, even on non AR gun guns that still use that style, including the Sig MPX 9mm. 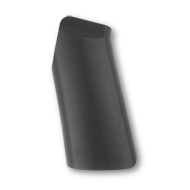 Our AR grip was an industry first, in that we modeled the bottom end of a 1911, then recreated that angle, shape and feel into an easily replaceable grips. Simply unbolt your stock grip, and replace with ours, using the same screw! Our AR15 "Grater" grips are made to replace any standard AR style grip, even on non AR gun guns that still use that style, including the Sig MPX 9mm. Our AR grip was an industry first, in that we modeled the bottom end of a 1911, then recreated that angle, shape and feel into an easily replaceable grips. Simply unbolt your stock grip, and replace with ours, using the same screw! If your AR uses a standard rail forend our rail covers will fit any tactical styled rifle or pistol! The "Grater" checkering will give a purchse that is second to none! The 6″ rail covers are precision machined from 6060 T6 Aluminum and will attach to any rail system in use today. (The Picatinny rail, alternatively known as the MIL-STD-1913 rail, STANAG 2324 rail, or simply “Tactical Rail“)… each rail is drilled and tapped for the included 8-32 set screw kit, 2 per rail. Made to very tight tolerances without the flex of plastic, a simple snug up on the set screws locks the cover solid. Good for rail top or rail bottom fit.